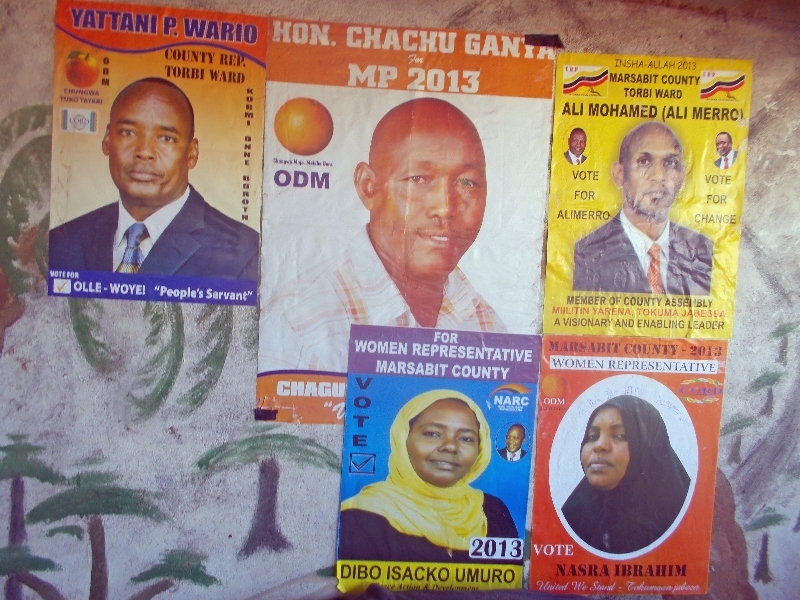 In our first day cycling in Sololo, a very small village we stayed near the first day of Kenya cycling – again election posters and supporters with bright yellow shirts. Today when we arrived in Marsabit, the town was alive with people everywhere. Noisy rallies and one group with orange, one with red and one with yellow. We took some photos from the bus but were later advised that a naturally reserved nature of Kenyans and sensitivity of political rallies that this wasn’t a good thing to do. The excitement and activity is much more than the equivalent pre-election hype in the USA, particularly since these are essentially small towns. The wild card with these elections is that this excitement remains calm as results are announced, i.e. not with some of the violence that marked the aftermath of the 2007 election. That particular violence caused TDA to skip over Kenya and have riders regroup in Tanzania to continue the trip. As a precaution, TDA has also modified our plans. Originally there were ten cycling days through Kenya – though last year there were only nice with one skipped over with lawless area in the north. This year the plan is to have five cycling days. The remaining five days have been replaced by two days of riding a bus to skip those sections and then three extra rest days just after election to monitor things. Hopefully all is well and we will continue after that. 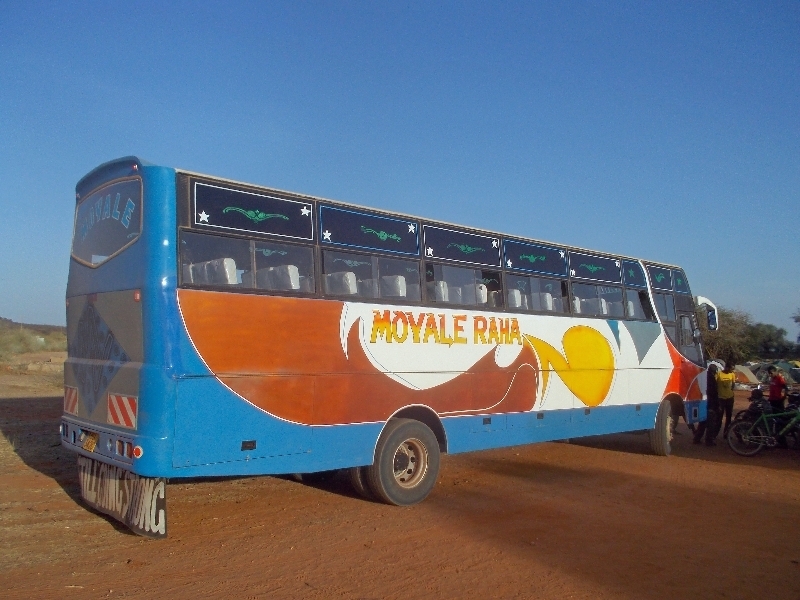 Today was first of those two bus riding days and we ended up in town of Marsabit. The two days we skipped totaled 170km and were some of the roughest roads we’ve seen. 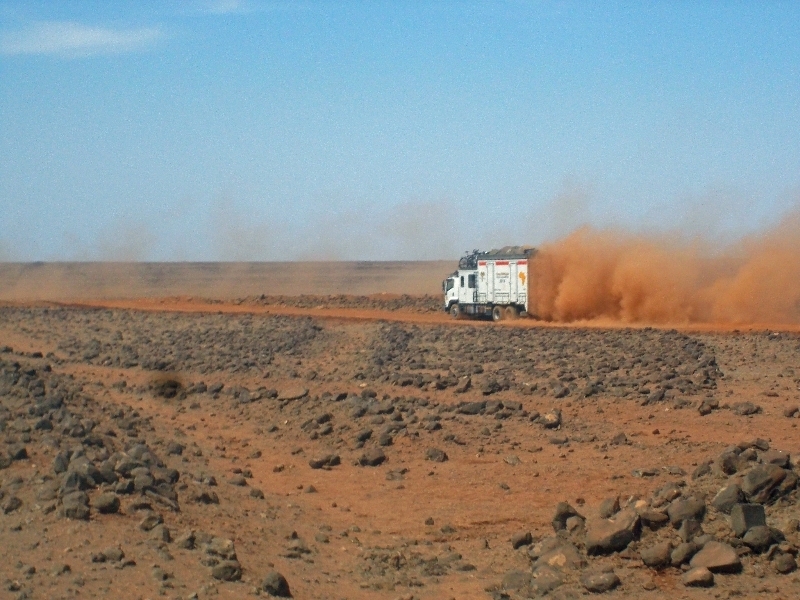 Heavily corrugated and occasional mixtures of soft sand. It took us eight hours on a bus to cross this region (on smooth roads, most cyclists would have covered same distance in same time). The area became very dry, first only a few thorny bushes and then even those left. 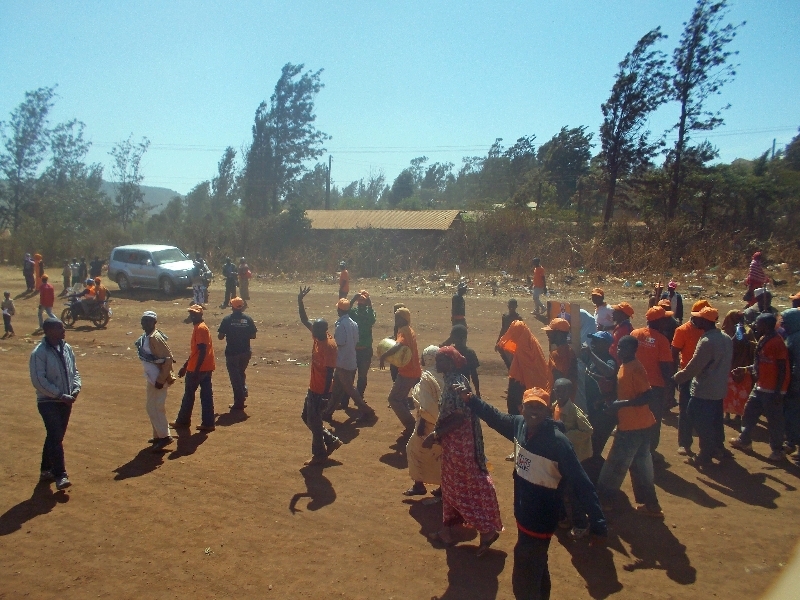 The biggest part was coming into the town of Marsabit with excitement and activity mentioned above. We’re camped on edge of town in area of local catholic center. The nuns are excellent hosts and even prepared dinner. Also nice to get showers and nice place to relax before our next and longer bus ride tomorrow.